Congratulations to U.S. Winner of Juno! 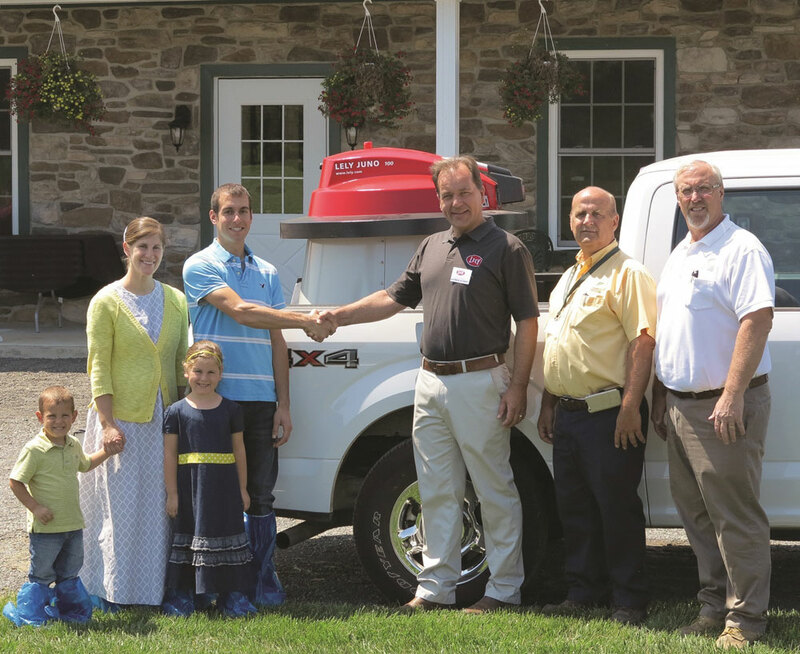 Delvin Halteman recently received his Lely 100 Juno feed pusher he won in the Lely “Did Juno” contest. From left are Brent, Michelle, Delvin and Lachelle Halteman of Quaryville, Pa., Juno winner; Alfred Kamps, Lely regional manager and Amos Fisher and Rick Thompson, dairy equipment dealers (Fisher &Thompson) of Leola, Pa.
Peter Sturkenboom of Westlock, Alberta Canada was our winner from Canada. Congratulations to both these dairy producers. Look for more contests coming from Lely!